Sandakan is one of the most tragic Australian stories of World War Two. But it’s also one of our most heroic. After 74 years, you can walk the Sandakan Death March track in the footsteps of those heroes.With Sandakan Spirit as your trekking company, you’ll be participating in both a personal discovery experience and an historic Borneo adventure. 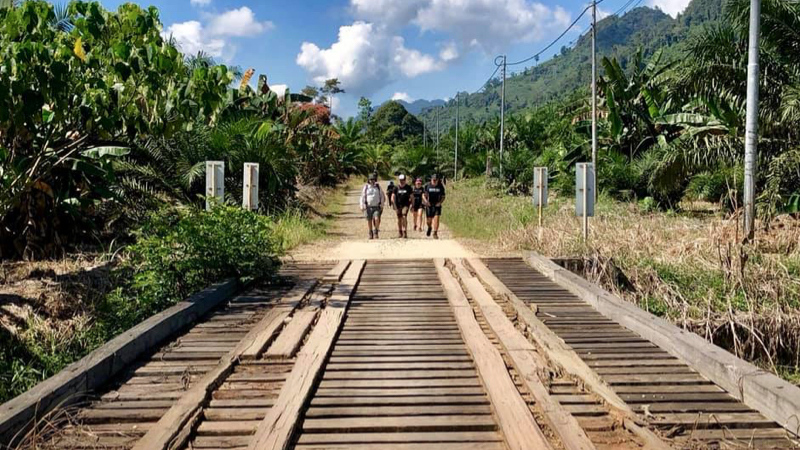 After 74 years, you can walk the Sandakan Death March track in the footsteps of those heroes.With Wild Spirit Adventures as your trekking company, you’ll be participating in both a personal discovery experience and an historic Borneo adventure. That’s because our treks across the Sandakan Death March follow the original route as closely as possible. We avoid using “short cut”, “eco” or alternative tracks that are logistically easier, ensuring that you see the real Borneo, and the original Sandakan Death March Route. This is made possible because of research from respected authorities on the Sandakan Death March, Don Wall and Dr Kevin Smith. 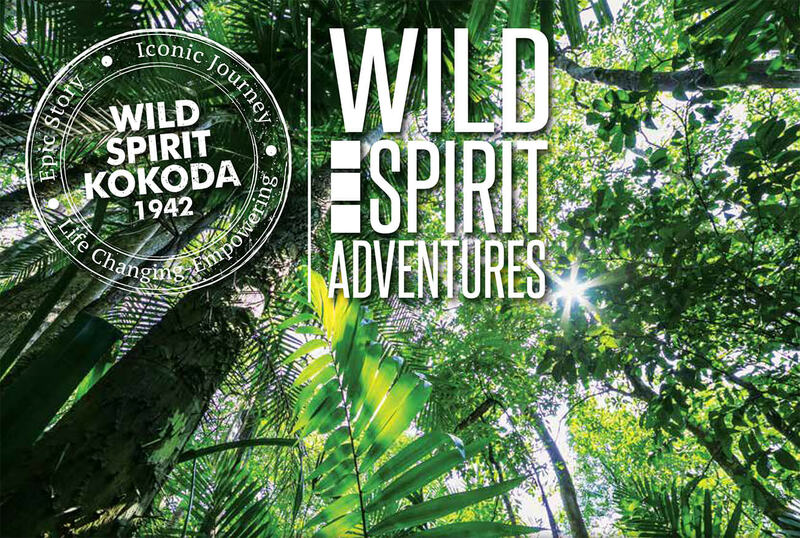 Managing Director of Wild Spirit Adventures (and sister trekking company Kokoda Spirit) Wayne Wetherall is an expert trekker and passionate adventurer who has walked the Sandakan Death March Track many times. Along with his Borneo partner Jerome Robles, he has uncovered what he believes to be the missing links and lost sections of the “Death March Track” of Sandakan. They have been very fortunate to meet a number of the old local people from Borneo and hear first hand and record their experiences of the Sandakan Death Marches. The Wild Spirit Adventures trek and route is based on information from the official Office of War Graves, grave recovery map, data from the National Archives and Australian War Memorial, Department of Army report on Major Jacksons Borneo Mission, Report by Major R.E Steele, WO. W. Wallace and Sgt R.J Kennedy and translations of Japanese war records. We use a variety of accommodation on our treks including camping next to Rainforest Rivers and staying in traditional Dusun Villages along the way, this gives you a great chance to embrace the traditional culture and mix with the locals and hear first hand the stories of their forefathers. 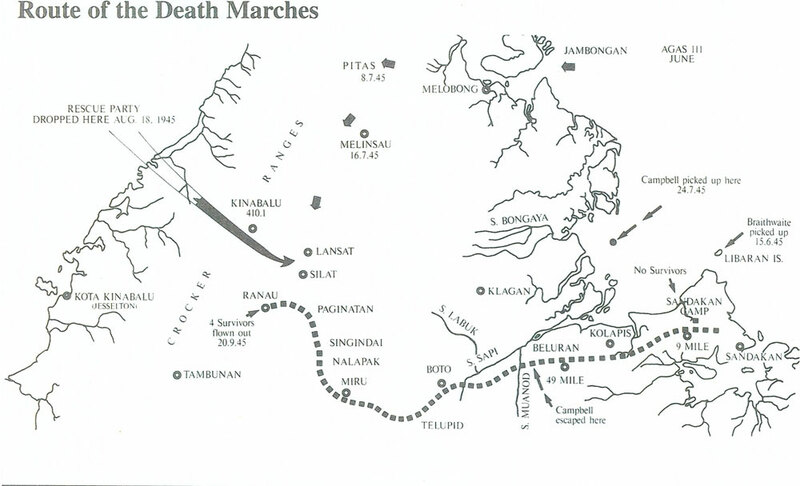 We see the Sandakan Death March as an explorer, historian and adventurer. When you trek with Wild Spirit Adventures, you will too. Wild Spirit Adventures is owned by Wayne Wetherall who specialises in small group tours designed to provide you with lifelong memories to Sabah, Borneo Malaysia. Wayne Wetherall, Managing Director of trekking company Kokoda Spirit and Wild Spirit Adventures has walked the Sandakan Death March Track on 10 occasions and has been very fortunate to meet a number of the old local people from Borneo and hear first hand their experiences of the Sandakan Death Marches. Our trekking partners are Dusuns, direct descendents of the carriers and locals that helped the POW’s. We stay at local villagers, purchase our fruit and vegies ensuring that the local communities benefit from tourism. Our tours are designed with the aid of local people enabling Wild Spirit Adventures to support the diverse cultures in which we operate. Our philosophy of providing economic and environmentally sustainable practices in the countries we visit has enabled us to develop long lasting relationships with the local peoples. Wild Spirit has an office in Kota Kinabalu that is run by our experienced and reputable local partner. This office deals with administration and logistics once clients are in Sabah Borneo. Our Head Office is on the Sunshine Coast, Queensland. 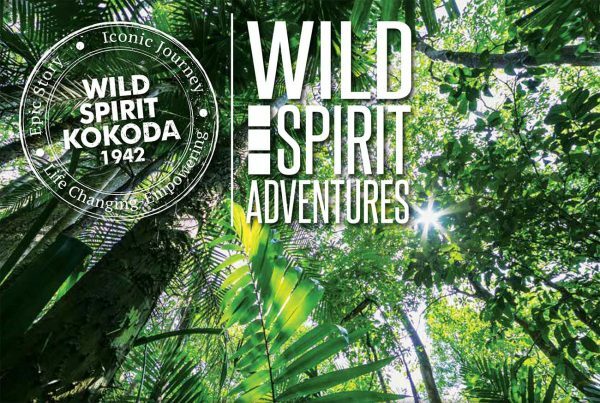 Wild Spirit is dedicated to showing and telling the story of the POWs along the infamous Sandakan Death March Route to our trekkers. It is a story that every Australian should know about. Are treks available with Australian Guides? Our treks are generally led by our experienced Local Guides, however, we can negotiate an Australian Guide for some treks. Managing Director Wayne Wetherall has spent years researching the history of the Track and has GPS’ed the entire length of the track, to create an up to date profile of the track. After you pass through Malaysian Immigration and collect your luggage, you will go through Customs. If you are arriving the day before your trek or the day of trek, you will be met at the airport by a representative from our local partners office. You will then be transported to the hotel where you will be checked in. Our preferred Hotel in Sandakan is the 4 star, Four Points Hotel by Sheraton. In Kota Kinabalu, the 5 star Le Meridian. If no availability we will source a similar quality Hotel. On the Death March you need to take local currency (Malaysian Ringgit). We recommend a daily allowance of 20 – 30 ringgit. You can organise to buy Malaysian currency through your local bank before you leave Australia or at the money exchanger at the International Airports. I would highly recommend that you have Malaysian currency before leaving Australia. There are shops near our accommodation where you can buy food and drinks to top up your stocks or for a treat. What are the size of the groups? Our Sandakan Death March treks we have a maximum group size of 16, with an average size of 12. Group sizes will vary for Anzac groups, Sandakan Day groups as well as private/special occasion groups. Malaysia is a non-tipping society, so tipping your guides, cooks and driver is not necessary but is appreciated and considered a ‘free will’ gesture. You may want to reward a job well done, so RM200 is a good tip. Any of your excess clothes or caps, t-shirts etc would be very much appreciated. Wild Spirit has a comprehensive trekking gear list to help you with your essential items. Refer to our website for your gear list requirements. You will need to carry a minimum of 3 litres of water on you. You will be given bottles of water each morning which you can pour into your water bladder if you prefer, otherwise you can just use the bottles. Put in your water, every 3rd litre, it prevents dehydration due to high perspiration losses due to exertion and high humidity. Dehydration, overheating and hyponatremia can become major issues on the track. It is very important to keep drinking fluids and utilising salt and electrolyte replacements on the Track. Because of the higher level of activity, temperature and humidity you will tend to sweat more. With the increased fluid intake and sweating you also tend to flush out of your system essential minerals, salts etc. This is why it is important to use electrolytes, salt replacements and glucose type products. Water purifying tablets should be taken along as a precaution. Wild Spirit needs to be advised when booking if there are any particular dietary requirements. We do our best to manage your requirements, but accept no responsibility due to availability. We can generally provide Gluten Free and Vegetarian menus on request, we do need to be advised at least 6 weeks prior to trek departure. Dinners are at a local restaurant and will be either, Malaysian, Indian or Chinese. Breakfasts: cereals, eggs, toast/rice cakes with spread, fruits depending on seasons, tea, coffee, biscuits, sometimes pancakes. However, our hotel accommodation has showers toilets and basic washing facilities. There are 5-10 minute breaks every 30 mins or so along the track and a stop for morning tea and lunch. The walking pace is best described as a consistent but reasonably easy pace. This can vary depending on the terrain. Each walking day will vary between 5 to 9 hours with 7 to 8 hours being the average. Arrival time back at accommodation is around 3.30 pm to 4.30 pm. The dry season is normally from late May to late October. Good conditions can still be expected in April and November. It is possible to get rain and consequently mud on the Track during any season or month. Late November, December, January, February and March can be wet and muddy. Wild Spirit does not trek at night. Our itineraries are designed to ensure you are at your accommodation well before night fall. Wild Spirit has an emergency evacuation plan which is implemented. On receiving call for assistance we activate our plan and organise medical, travel insurance and evacuation plans. Contact us if you required more details. How do we help the villagers and locals along the Track? Please refer to our sustainable Ecotourism strategy policy on the website. This will give you an insight into our philosophy and policy. Our accommodation along the track is clean, safe and basic and in forestry lodges, motel style rooms and longhouses. Walking poles are essential and are a very good aide for trekking. They are used as a support and breaking system for the steep downhill sections. You can buy walking poles through our office or from camping stores. It is a good idea to train with the poles. Some people find one pole sufficient, but it is your choice. Yes, you do need travel insurance, it is very important. You are responsible to organise your own Travel/Medical insurance. Yes. Approximately 3 months prior to your trek Wild Spirit will email a letter that you need to take to your doctor. We ask that this original Drs Letter be scanned and emailed to our Wild Spirit office no later than 4 weeks before departure. It is Wild Spirit’s requirements that every trekker must obtain medical clearance from their doctor. If we do not receive the original Wild Spirit Drs letter, unfortunately your trek will be cancelled. We were part of the committee that developed the draft policy. We will continue to support the Code of Conduct to ensure the long term protection of the track. It is very important that we all take good care of the Track. Whilst trekking, please put your own rubbish in your backpack until you can dispose of at end of the day. If you see rubbish on the Track, pick it up and put it in our rubbish bags. Our web site has a complete list of gear required to trek Sandakan or contact us and we will send the list out to you. We can also supply a range of cost effective gear to suit your requirements. Yes, absolutely. It is essential that you have an appropriate, personal, first aid kit for the conditions. It is not essential to wear boots across the Sandakan track but I highly recommend good quality comfortable footwear. My boots are 100% water proof. (At least they are until the water comes over the top) They are also a light weight Gortex construction for quick drying. They have an aggressive Vibram flexible grip and sole for better traction on the track. Companies will push their own brands and preferences and attempt to convince you of the benefits. My suggestions are that the boots must be comfortable, be at least one size bigger than you would normally wear. This will prevent you from getting sore toes on the declines; your feet can also swell causing discomfort. They should also be light weight quick drying and have a good flexible and aggressive grip. The track is harsh on boots so do not risk old or suspect boots. I have found Aku and Scarpa boots to be the best for me. Do we have exclusive use of the guesthouses? No, we do not have exclusive use of the lodges along the Sandakan Death March Track. It is quite possible that some lodges will be shared by other trekkers. The best way to minimise risk on the Sandakan Track is to trek with a professional trekking company like Wild Spirit. Wild Spirit has a comprehensive risk management plan and safety procedures. Our guides are first aid trained for wilderness situations. It is important that you get yourself a full medical check before training. Wild Spirit requires a full medical clearance from your doctor before trekking with us. Proper preparation and training before your trek is absolutely essential. It is also essential to ensure you take precautions to prevent, dehydration, hyponatremia and overheating. While you do not need to be an Olympic athlete, you still need to be in great physical condition, with good endurance and stamina. You need to be able to walk up to 9 hours per day in hot and humid conditions. 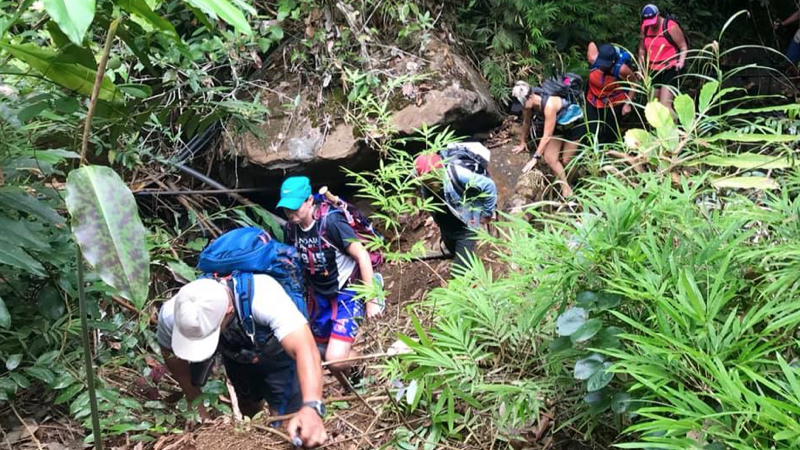 The terrain over the Sandakan Track is tough and can be steep in parts. You need a strong heart, lungs, quads, calves and a strong and positive attitude. A dedicated training program is required. Please Note: All trekkers need to be aware that being well above your healthy weight range seriously impacts on your ability to complete the Track. Should you fall into this category we highly recommend that you concentrate your training on an intensive weight loss/fitness program. You may like to consider hiring a personal trainer to assist you with your fitness goals. Once again we recommend you consult your medical practitioner before undertaking any new training program. A Wild Spirit shirt will be posted to each trekker. With large groups the shirts are posted to the person who has organised the trek. Completion certificate will be handed out to trekkers on the completion of their trek. Contact the Wild Spirit office by email info@wildspiritadventures.com or phone us on 07 5445 2758 we will advise you regarding the different options available. Final Payment – The final payment is due 8 weeks before your trek date. We ask all trekkers to read our Booking Terms and Conditions. Some of above mentioned points are outlined in more detail in our Booking Terms and Conditions. These can be found on the website or contact our office and we can send this to you. Every trekker who books a trek will also receive Wild Spirit Booking Terms and Conditions upon their booking. Every effort is made to make your trip as memorable as possible. Please remember, you are going to country where you may see and experience things you have never seen before. Expect the unexpected in Malaysia. Keep an open mind; schedules/itinerary may and can change without notice, internal transfers may be late, planes may be late due to bad weather, please understand it is out of our control. Patience and a relaxed attitude are essential for an enjoyable trek. This a fantastic trekking adventure, it is an empowering and life changing experience. Enjoy! After the fall of Singapore in February 1942, numbers of Australian and British POWs were brought progressively to Sandakan. The first large group of Australians about 1500 men to arrive from Singapore was ‘B’ Force. They steamed along the east coast of Borneo on the Ubi Maru and arrived at Sandakan on 17 July 1942. Lieutenant Rod wells thought the scenery beautiful. From the sea it’s lovely. With red chalk hills on the side of Berhala Island it really was very impressive. I suppose for a split moment we thought, with a sigh of relief, that here’s some beautiful, peaceful land where there may not be any Japanese. Jack Sue Did Not Fabricate His Wartime Heroics, Says His Son…..
CLAIMS that one of Australia’s greatest war heroes, Jack Wong Sue, fabricated key parts of his personal memoir Blood on Borneo have been refuted by a new inquiry. The inquiry, commissioned by the WA World War II hero’s oldest son Barry Sue, found “there appears to be absolutely no justification for calling Jack Wong Sue a liar”. New Find On The Borneo Trail…. AN Australian trekker says he has uncovered two new sections of track on the infamous Sandakan death march in Borneo, which would correct the preservation of one of the country’s most tragic and heroic wartime histories. More than 2400 Australian and British prisoners of war died during World War II working on the track, where they were beaten, tortured and executed. Only six Australians escaped and survived. Help Save Our Victoria Cross Heroes’ Memories….. The graves of some Victoria Cross war heroes have been left to crumble because of decades of bureaucratic indifference. And the final resting places of many of Victoria’s bravest soldiers are in danger of disappearing entirely thanks to bureaucratic buck-passing. Today, we gather as nations that share a history, and as friends who share a human story. year in, year out, for lifetimes hence. SANDAKAN IS ONE OF THE MOST TRAGIC AUSTRALIAN STORIES OF WORLD WAR TWO. BUT IT’S ALSO ONE OF OUR MOST HEROIC. 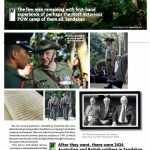 After nearly 70 years, you can walk the Sandakan Death March track in the footsteps of those heroes. With Sandakan Spirit as your trekking company, you’ll be participating in both a personal discovery experience and an historic Borneo adventure. Dear Wayne, Your call this morning was most interesting and I thank you for it. I have two maps obtained from a Government office in the early 2000s, although I cannot now recall exactly from whom. They are dated in the mid-70s and I was going to post you copies today. However that will now have to wait until Monday as the place where I have been doing my photocopying has been getting more inefficient by the month. I must now try somewhere else.